Tours run every day on the hour in the summer. Min age: 12. For the enthusiast, the Connoisseur Tour, priced at £35, offers a more detailed insight plus the chance to try four different expression of Highland Park. The most northerly distillery in the world, Highland Park still uses traditional methods to create its highly regarded whiskies. Established in 1798, it retains its own maltings, hand turning the malt and drying it over peat, and swears by the use of sherry casks for the all-important maturation phase. With five star status, the newly refurbished visitor centre makes this lengthy trip well worthwhile. Take a turn around the distillery before heading to the atmospheric bar. Dry stone walling makes up the bar itself, while reclaimed oak from an original Highland Park washback has been used for ?? Find out what role sherry oak casks play in the final flavour, check out the 200-strong whisky library, some books centuries old, or simply take in the scenery. Choose between the standard guided tour or the Connoisseurs Tour, which finishes in the Tasting Room with its Orcadian-style interiors and hand-made furniture. 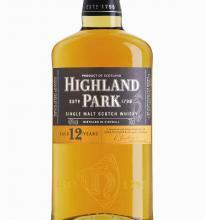 Highland Park supports numerous charities, including the RNLI, MS Society, Diabetes UK, Macmillan, Click Sargeant and CHAS. In the United States during Prohibition, Laphroaig whisky could be legally purchased, but only if prescribed by a doctor.